R&R Auto Sales, Sell Us Your Car! It is our goal to be your used car dealer Red Bluff CA. Is There a Truck for You? Lease a New Car or Buy Used? Why Buy Used? We'll Give You Three Solid Reasons! Do You Want a Manual or an Automatic Transmission? Why Choose Us for Used Cars Redding CA? What Kind of Crossover Suits You? Should I Lease or Buy Used? Take a Test Drive or Two or Three! Trade in or sell, R&R Sales will always pay Actual Cash Value for your vehicle! Please understand that Actual Cash Value may vary, based on condition, description & market value. R&R Sales proudly stands behind every vehicle that we sell. Your satisfaction is important to us so we provide a 3-day exchange policy. No questions asked, no reason needed, simply return or trade into any other vehicle in R&R Sales used vehicle inventory. A returned vehicle must be in the same condition as purchased with no more than 300 additional miles from the mileage at purchase. After 3 days or 300 miles, whichever comes first, the vehicle may be subject to an appraisal, and may be traded in for Actual Cash Value. 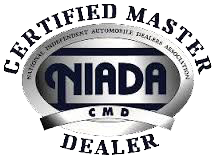 To ensure that you are getting the best possible price, we go out 100 miles and check all the prices in the market against other Certified Pre-Owned vehicles to make sure you are getting the best price! All of our vehicles come with a no-cost history report. This way you know exactly where the car has been and its complete history so you can buy in confidence! Prices do not include government fees and taxes, any finance charges and dealer document processing charge any electronic filing charge and any emissions testing charge. R & R Sales, Inc.
Only one step away from viewing our private inventory! We have to verify that you are a real person and we want to help you find the right car and the right financing! Other dealers try to copy our pricing and other things about our business. We don't mind sharing this information with you, but we don't want to share with our competition. by filling out the form you become a VIP and can get special offers and announcements! - This vehicle is located at our Orland store, contact us for more details! Cargo capacity, all seats in place: 10 cu.ft. EPA interior volume: 128.2 cu.ft. Gross vehicle weight: 4,861 lbs. $4 down plus tax license and any other government fees subject to credit approvals for well qualified buyers with a FICO score of 680 higher. Copyright R & R Sales 2015. Website by ProMax. Veiw Sitemap.